So the weekend was jam packed with some local basketball in Cape Town. There was an upset on day one of the playoffs in the Mens division, with the Vets showing Montana Vikings that they still had enough in their tank by beating them in Game 1 on Friday night. You could say that there was a bit of complacency from the defending champs but they rectified it on sunday by taking Game 2. Now it’s on to Game 3 to decide on who will advance to meet the CPUT Cats who defeated Montana Vikings 2nd team. 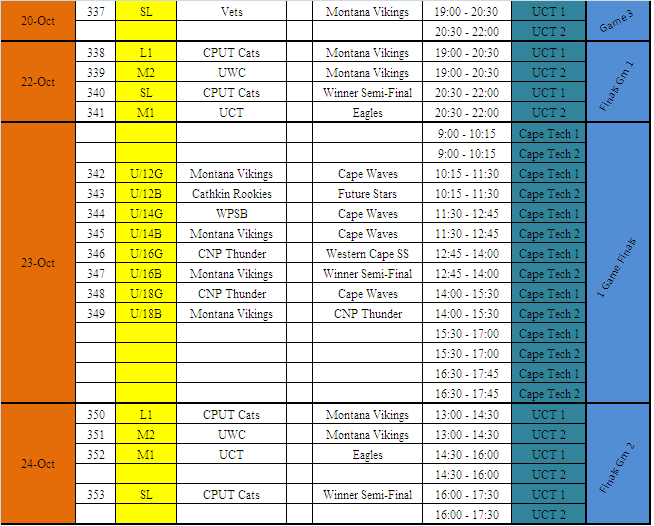 In the Ladies division, no upsets here; Montana Vikings will meet CPUT Cats as predicted.